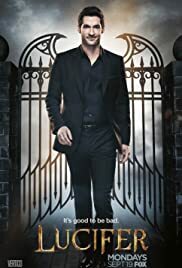 “What is it you truly desire?” asks Mr. Morningstar on Lucifer, the very witty, well-written, and well-acted television show on Fox. The premise is that Satan decides to take a break from torturing souls in Hell and sets up residence in Los Angeles. While in the City of Angels, he operates a fabulously decadent nightclub and helps an LAPD detective solve crimes. He uses his extraordinary power of getting the complete and unadulterated truth from people (he casts his stare on humans and they spill their guts), ascertaining why someone did what they did and then determining what might come next. (Although sometimes I think he is just being nosey.) The answers people give reveal the complexity of humanity – a biker dude desires to start a clothing line, a paparazzi putz dreams of winning the Pulitzer, a priest wants to punch a benefactor in the face. These answers surprise the giver as much as they do Lucifer – it’s not what they expected. Desire is tricky – we do not always see it clearly and the devil is indeed in the details. Lately, I have been reexamining some of my goals, particularly those that have been sitting on my to-do list for a while (some for years). I have come to realize that some projects/habits/changes never get finished/ingrained/instituted because, truth be told, I don’t truly desire whatever it is these endeavors will bring me. I may have cared at one time or perhaps I just felt I should care, but if a tall dark devil cast his eyes on me and asked, “What is it you truly desire?” my answer would have nothing to do with any of these plans or projects. It is time to wipe them off my to-do list. And now onto my next project, which is finding out what it is that I truly desire. The search begins.